Erzullie Fierce Plus Size Fashion Philippines: PLUS SIZE FASHION: "THE ERZULLIESTA APRIL 2013 (4)"
PLUS SIZE FASHION: "THE ERZULLIESTA APRIL 2013 (4)"
#1 The Monday Mantra for this week is: "Skinny? / Curvy? They are all Pretty!" If you agree, you better click on this post and share! #2 Erzullie Icon and Plus Size Model, Kat Lopez dominates our social pages this week. #3 The Erzullie Resort 2013 collection is a big hit! We would like to thank all of you girls for loving our latest designs! If you want to know more on how the collection came about, here is a little post that will tell you all about it. #4 We went on vacation last April 25-29, 2013, but we are back online! (We know it's still just April 29, but we can't hold it in. We miss you girls! Haha!) We know this announcement will no longer make sense but if you want to see the beautiful Erzullie Icon and Plus Size Model, Kat Lopez, doing her thing. Click here for the photo. 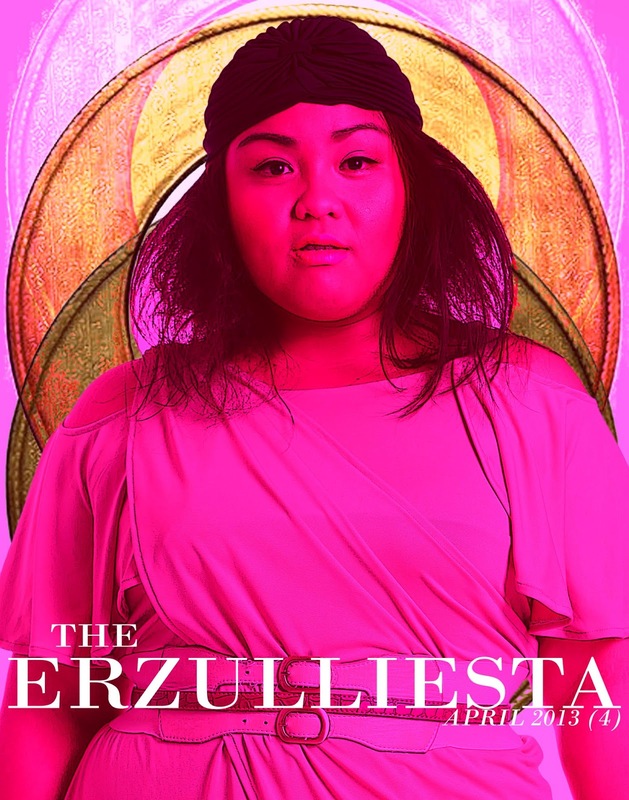 #6 We know that you Erzulliestas already know almost everything about Erzullie Icon and Plus Size Model, Loren Monares. She has been modeling for us for over a year now! However, here is another eye opening interview about having "The Glam Life" as a plus size model. #7 Ordering the Erzullie Resort 2013 online? Here is a small reminder for a hassle free ordering! #8 It has been a while since we have heard from Erzullie Fashion Intern, Timmy Mariano. She is now back with a new post for her column "My Fierce Experience". Her topic? The Erzullie First Look: Resort 2013 event! #9 One of our best sellers in the Erzullie Resort 2013 collection is this Beige Dress. Learn how to wear it here.